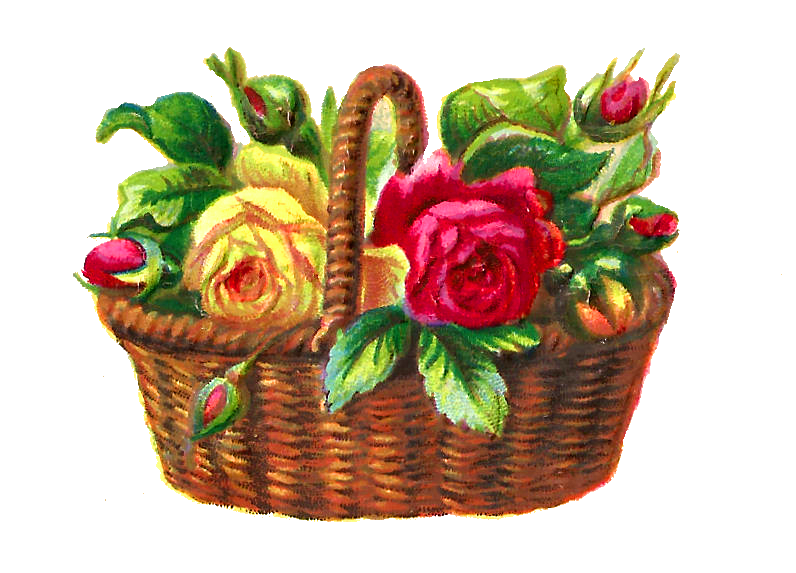 What a gorgeous digital flower basket illustration! 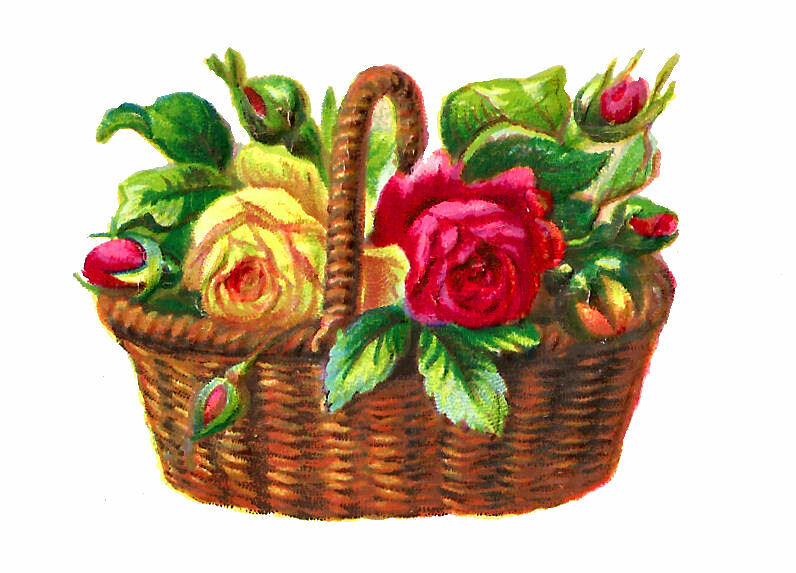 I love the big, yellow and red roses surrounded by the rose buds as they spill over the edges of the wicker basket. This is a lovely digital rose image that I created from a little Victorian paper scrap. This flower basket image will be a pretty design element for your Easter projects. I love using flower images when creating my handmade greeting cards for any occasion, but especially for Easter. 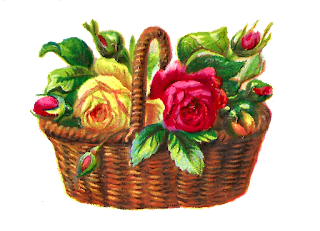 I hope you enjoy this beautiful flower basket image for any of your projects!